Found 9 holiday rentals in Barlavento Islands. Superb location near the beach front . 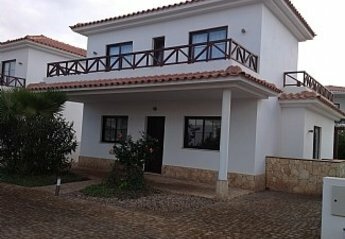 3 bedroom and 3 bathroom villa with private pool and gardens. Decorated with designer furniture throughout . Within walking distance to bars & restaurants. 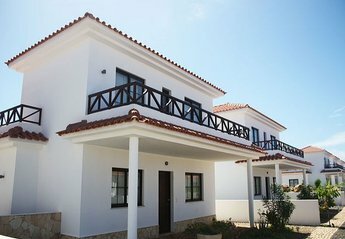 Gorgeous 3bed villa with 3 bathrooms on 5* resort with an abundance of facilities for the whole family. Resort has beach front location . Close to all amenities. A fantastic condominium, opposite Cabral Beach, with it's own swimming pool and poolside bar/restaurant. All apartments have fully fitted kitchens. 15 minutes walk from Sal Rei centre. Apartment 33B is a ground floor studio apartment located right by the beach and close to the resort pool. It has direct sea and beach views from the large terrace which has a table and comfortable chairs. Fantastic apartment in an unbeatable beach location. Direct access to the long white sandy beach of Santa Maria & large fresh water pool. Furnished with everything you need for a perfect relaxing break in the year round sunshine. Apartment 66 is a front line 1st floor three bedroom one bathroom apartment overlooking the pool and beaches. It has great sea and beach views from the large terrace which has a table and comfortable chairs. Apartment 12 is a front line ground floor two bedroom one bathroom apartment located by the pool and just a few yards from the beach. It has great sea and beach views from the large terrace which has a table and comfortable chairs. We found 9 holiday rentals in Barlavento Islands.